This is a delightfully creepy little book. Trapped in a gilded cage, Aaron has lived his life to his malevolent father’s exacting specifications. Flashing between the experiences of a 30-year-old Aaron and the memories of his early life, the story forces readers to piece together the fragments of a very dysfunctional family life. Many of the flashbacks focus on Aaron’s experiences at college. The bittersweet romance in the story takes place here and Aaron’s college memories lend a new adult feel to the entire book. Even though the action takes place when Aaron is thirty, the whole story wrestles with new adult themes of independence, power, and control. This is angsty high drama full of powerful society characters – victims, villains, and a few that surprise. The society aspect of the story lends a Louise Bagshaw/Jackie Collins/Danielle Steel feel to the book, but it is never really a romance and the main character is male. At times I felt that the villainy of Senator Anderson was slightly overwritten and I really didn’t enjoy Aaron’s constant reference to his mistresses as his “whores.” However, I really enjoyed Aaron’s journey from victim to hero as he attempts to save his business and his future from his father. This is a fast paced drama with a high society, soap-opera style cast. I really enjoyed this exciting and slightly unusual read. Oh, I think this is a little gem in a world full of sweet romances with predictable endings...it is dark, but in a political way, and disturbingly, probably verging on the truth in places! It was very unexpected, and has some fabulous twists, which really had me turning the page back, thinking – really? It is a book that should be on your list to read – to clean the palate and restore some balance into your life! 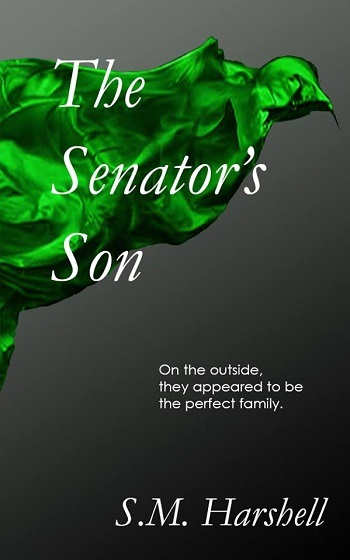 Reviewers on the Wicked Reads Review Team were provided a free copy of The Senator's Son by S.M. Harshell to read and review.